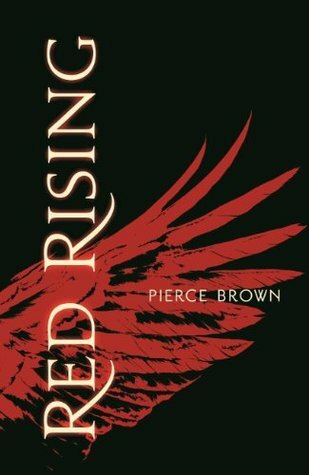 I’ve been getting hassled about reading this series for a while, so finally sat down and read the first installment — Red Rising. It was fantastic. Red Rising is set on Mars in a distant future. It follows Darrow, a red, who believe themselves the first colonists on the planet, mining the resources necessary to terraform the surface and make the planet safe for full colonization. Only, that’s not really true. A series of events reveals to Darrow just how badly they’ve all been lied to. Left with nothing but a hunger for revenge, he agrees to become the enemy in order to bring them down. “See. That’s what I don’t get. If I am a good man, then why do I want to do bad things?” Darrow. What follows is a brutal adventure and Darrow’s first steps on his mission. Darrow is a great character who grows significantly throughout the book and Brown does an amazing job building a believable world. I became completely caught up in the narrative and cheered out loud on several occasions as Darrow successfully pulled off something particularly outrageous. He is wild, audacious, and driven, and I can’t wait to dive into the rest of the series. If you're interested in Red Rising, you can learn more on Goodreads here, or buy a copy from Amazon here. If you enjoyed this recommendation, why not have a look at my other recommendations as well?